Fans of particular platforms Your Apple/Android/Windows Hatred Is Irrelevant, Give It Up Your Apple/Android/Windows Hatred Is Irrelevant, Give It Up Getting upset because someone is buying something you're not interested in benefits no one – so why do we get mad anyway? Read More love to point out when competitors steal features. By now, it’s clear that Apple has copied Samsung, Google has copied Apple, and so on with dozens of other companies in a confusing diagram. 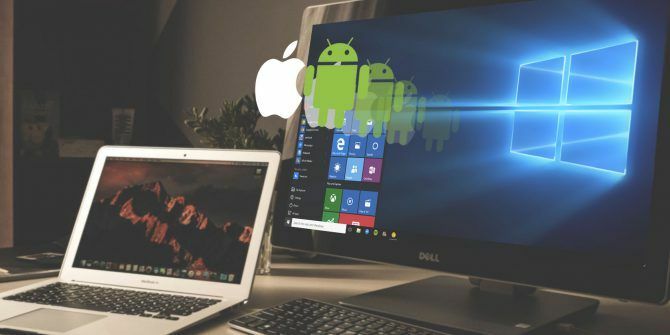 However, what you might not have noticed is how much Windows 10 has borrowed from smartphone operating systems like Android and iOS. It’s all part of our digital evolution and how they go on to influence our habits. Let’s take a look at some of the many ways that the latest version of Windows breaks from earlier conventions. Perhaps the biggest trend that Windows 10 (and 8) takes from phones is the addition of apps 10 Windows Store Apps You Didn't Know Existed 10 Windows Store Apps You Didn't Know Existed Big names have finally entered the Windows Store. You might not realize just how good it's become. Let us show you what you've missed. Read More . Before smartphones were popular, you visited websites to perform various tasks. If you wanted to shop on eBay 10 Tips to Shop on eBay Like a Boss 10 Tips to Shop on eBay Like a Boss These 10 eBay tips will help you optimize your searching and bidding to save you a lot of money on the items you're looking for. Read More or read some news on MSN, you simply visited those websites in your browser. But that didn’t cut it for mobile usage. When smartphones were new, most websites looked terrible on phones Get Your Site Mobile-Ready With 6 Free Emulators Get Your Site Mobile-Ready With 6 Free Emulators These handy tools allow you to not only view, but in most cases navigate through your website through the "eyes" of different devices. Each of these emulators works well and is available for free. Read More . And on sites like Facebook, loading content regularly means lots of refreshing and frustrating navigation. Thus, every website and service you can imagine publishes an app for phones to make using their site better. Windows 10, through the Microsoft Store, carries thousands of these apps The Best Free Windows Store Apps Worth Your Time The Best Free Windows Store Apps Worth Your Time The Windows Store can be intimidating. We went in to find the apps you should try. 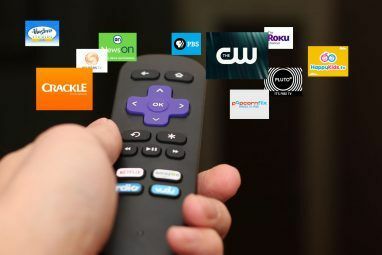 These lesser-known gems convinced us with great service and functionality. Read More . Even though you can still visit, say, Newegg’s website in any web browser to get the full experience, it offers a dedicated app. 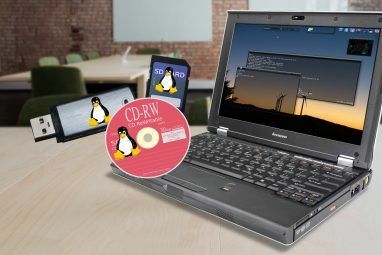 You’ll also find Store app versions of traditional desktop software, like VLC and well-designed apps like Accuweather. Many of these apps are built around touch controls. But often, the apps leave out some features you’ll find in the full versions. It’s up to you whether you prefer having an app Desktop vs. Windows Store Apps: Which Should You Download? Desktop vs. Windows Store Apps: Which Should You Download? On Windows 10 and 8.1, you can either download and install a Desktop applications from the web, or you can get an app from the Windows Store. We explore the differences between Desktop and Store... Read More for everything or would rather work the old-fashioned way. Prior versions of Windows included a lockscreen, but they were pretty basic. You’d see a list of user names, click yours, and type your password. Beyond changing your wallpaper from a Registry workaround, it was pretty bland. But Windows 10 takes a page from the information-filled lock screens of smartphones. You can easily add useful information to lock screens Cool Things to Do with the Windows 10 Lock Screen Cool Things to Do with the Windows 10 Lock Screen The Windows 10 lock screen is more than a stylish display to cover the login screen. Let us show you everything it can do and how you can customize or disable it. Read More , such as weather, recent emails, or Cortana access. There’s a dedicated option for changing the lock screen wallpaper instead of having to resort to hacks. Heck, the Windows 7 lock screen didn’t even have the date and time! Customizing your lock screen Your Windows 10 Lock Screen Could Be Better If You Customized It Your Windows 10 Lock Screen Could Be Better If You Customized It Your Windows 10 lock screen isn't as useful as it could be. The Creators Update introduced new features you should try. Or maybe you just want to bypass the lock screen. Read More makes it a more personal part of Windows, just like on Android and iOS. Older versions of Windows were a pain to reinstall. Whenever Windows XP or Windows 7 acted up, you didn’t have any way to easily reset the OS from inside the settings. You had to dig out your installation disk or download a copy from Microsoft How to Legally Download Windows Installation Files for Free How to Legally Download Windows Installation Files for Free Windows can get seriously broken. What you often need to do is to install it from scratch. And we show you how to get legal installation files for Windows 7 through 10. Read More and go through the entire install process again. Modern smartphones make it so much easier to reset your device, and Windows 10 has thankfully adopted this too. If you need to completely reinstall Windows 4 Ways to Reset Windows 10 and Reinstall From Scratch 4 Ways to Reset Windows 10 and Reinstall From Scratch Windows 10 is still Windows, meaning it will need a fresh start every once in a while. We show you how you can get a fresh Windows 10 installation with as little effort as possible. Read More , you can perform a reset to erase everything and start from scratch. This is equivalent to the factory reset option on phones. Meanwhile, Windows now includes a Refresh option that lets you reinstall the OS without losing your files Should You Refresh, Reset, Restore, or Reinstall Windows? Should You Refresh, Reset, Restore, or Reinstall Windows? Ever wanted to reset Windows 7 without losing personal data? Between a factory reset and a reinstall, it was tough. Since Windows 8, we have two new options: Refresh and Reset. Which one is right... Read More . Android and iOS both include a feature to reset all settings without touching data, which is quite similar to this. The result is a much easier process for restoring your device when needed. Touch is a natural part of our interactive experience now. Windows has supported touch screens for some time, but the experience wasn’t great. While most users still prefer a mouse and keyboard, Windows 10 has better support for those using touch screens. You’ll find all sorts of useful touch gestures 18 Essential Touch Gestures in Windows 10 18 Essential Touch Gestures in Windows 10 Touch gestures are like keyboard shortcuts for your touchpad and touchscreen. And with Windows 10, they have finally become useful! We'll show you how to access the full potential of touch gestures. Read More built into Windows 10. The new Windows Ink feature How to Use Windows Ink With a Touchscreen on Windows 10 How to Use Windows Ink With a Touchscreen on Windows 10 Got a touchscreen and Windows 10? Then you must try Windows Ink! We show you how to take notes, draw sketches, or annotate screenshots. No stylus required. Read More provides support for writing across the OS with a stylus or your finger. And many products, like Microsoft Office, include a Touch Mode that adds more space between buttons. Of course, like on smartphones, you’ll find natural touch gestures like using one finger to scroll through web pages, pinching to zoom, and more. While touch controls don’t work for all tasks, their widespread adoption on mobile devices has given way to better Windows support too. Unless you used third-party tools like Snarl, older versions of Windows lacked a central notification center. You’d see a bubble for various notifications, but had no way to review them later if missed. Now, Windows 10 borrows from Android and iOS’s notification philosophy with the Action Center How to Customize & Disable the Windows 10 Action Center How to Customize & Disable the Windows 10 Action Center The Windows 10 Action Center is a tool for power users. It collects all your important notifications and key system shortcuts in the Taskbar. We'll show you how to configure your Action Center to perfection. Read More . Not only does Windows 10 have a unified notification interface, you can press Win + A anytime to review past alerts. In this panel, you’ll find yet more features that Windows 10 took from phones. Airplane mode lets you disable all wireless communication with one tap, and Quiet hours enables a do not disturb mode so you don’t see any notifications How to Get a Distraction-Free Computer in 10 Easy Steps How to Get a Distraction-Free Computer in 10 Easy Steps Your attention is consumed by distractions. Remove them to increase your focus and productivity. We show you the most common computer-related time suckers and how to disable or block them. Read More . And the various toggles are reminiscent of the Control Center on iOS or Quick Settings on Android. Both Android and iOS include a universal search bar that lets you sift through tons of information in an instant. Using the Google search widget on Android or Search on iOS How to Use Spotlight on Your iPhone to Save Time How to Use Spotlight on Your iPhone to Save Time Spotlight has been around on iOS devices for a while, but it's gotten a whole lot more powerful with iOS 9. Read More , you can access apps on your device and search the web at the same time. This is handy if you have tons of apps installed, and saves you from having to open your browser first to search. Windows 10 introduced Universal Search too. Open the search box, and when you type something, you’ll see both local and web results. If you use Cortana, these will even include detailed snippets from Bing like local businesses, a calculator, and more. You can now get the search results you need on Windows 10 7 Search Tips to Find What You're Looking for in Windows 10 7 Search Tips to Find What You're Looking for in Windows 10 Are you using Windows 10 search to its full extent? We will show you how to customize where Windows searches, handy search parameters, and other shortcuts. Our search tips will turn you into a search... Read More without even leaving your desktop. Siri was a must-have feature when she launched on the iPhone 4S in 2011. Later, Google Assistant popped up on Android. Now, Cortana serves the same function for Windows 10 users. It’s amazing how much Cortana can really do; she’s actually one of the least utilized features The 10 Most Overlooked Windows 10 Features The 10 Most Overlooked Windows 10 Features Windows 10 has lots of features, but you may have overlooked some of them. Let's look at 10 Windows 10 features you don't want to miss! Read More of Windows 10. Her talents include Cortana in Windows 10: Everything You Need to Know Cortana in Windows 10: Everything You Need to Know The digital assistant Microsoft Cortana is an integral part of Windows 10. Do you wonder what Cortana can do or how to turn Cortana off? We've got answers. Read More settings reminders, searching the web, identifying music, finding files on your PC, sending text messages, opening apps, and much more. Cortana can even integrate with various apps 8 Cortana App Integrations You Have to Try 8 Cortana App Integrations You Have to Try Did you know Cortana can already cook your dinner, put the kids to bed, and wash your laundry? Okay, that's not entirely true, but the potential of Microsoft's personal assistant might surprise you. Read More for more utility. While voice assistants are useful on mobile devices because most people don’t like typing with a virtual keyboard, Cortana shows that they can be just as helpful on the desktop. How Else Have Smartphones Influenced Windows 10? We’ve seen seven big ways that the design of modern smartphones has influenced Windows 10. In just a few years, this has changed Windows from a desktop-only OS to one that’s comfortable to use on tablets too. Universal Windows apps are making it easier to jump from one device to another. 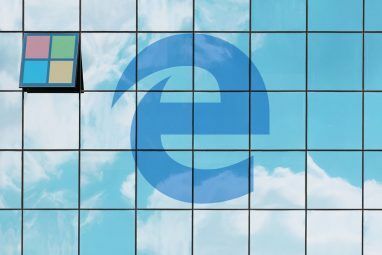 While you could argue whether these changes have been for the better, we think that overall they’ve made Windows more user-friendly How Windows Has Become More User-Friendly, 5 Examples How Windows Has Become More User-Friendly, 5 Examples Over time, Windows has smoothed rough edges and created a more user-friendly experience, especially for novice users. Here are five big reasons that Windows is easier to use than ever before. Read More . Explore more about: Windows 10, Windows Customization.